Thomas Hobbes famously warned that the worst instincts of “mankind” need strict management, control, and regulation. But what about the harm that results when we try to manage spontaneous systems too closely? I have been thinking with Robert Chia and Robin Holt lately; their book Strategy without Design is on my desk, and I’m nearly finished with their detailed accounts of how inflexible and myopic our planning and strategy can be. We’ve developed rigid and inflexible fields and disciplines, which have lead to similarly inelastic outputs. History is rife with examples of failed attempts to plan, manage, and control. The news these days is rife with them too—the misplaced ambitions of those who hope to design on a massive scale for a complex group of users. 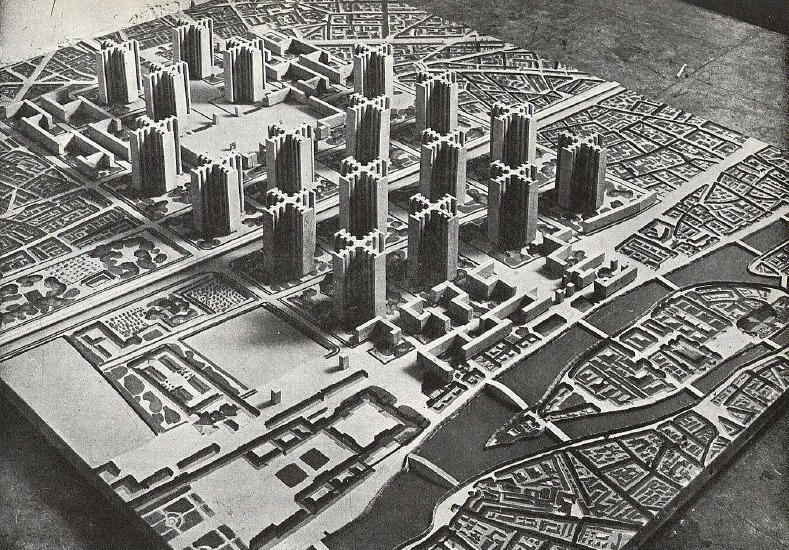 Take, for example, high priests of modernity such as Le Corbusier, whose Plan Voisin imagined the transformation Paris into “a chequerboard latticework of well-spaced towers and open, orthogonal roads” (Chia & Holt 36). His success as an architect surely made him feel entitled to make the leap into planning entire communities in the same way one planned a building. 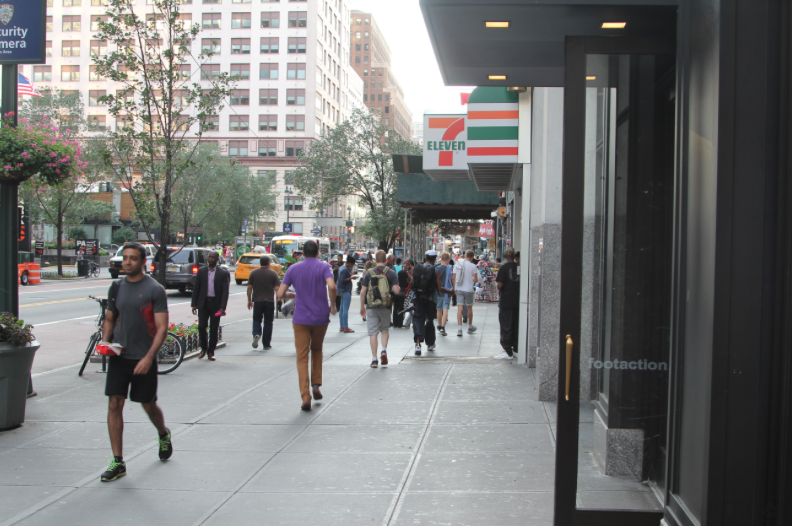 We must decongest the centers of our cities. We must augment their density. We must increase the means for getting about. We must increase parks and open spaces. To “Corbu”, the best city had to “make sense”. Of course, there was little pre-existing evidence that such a city would be any more successful than any other kind, and there’s been plenty of evidence since to suggest that modernist architecture writ large is a recipe for epic failure. In the drive to create simple guidelines, Corbu neglected the context for which he was designing, believing any gaps in reality could be filled with more plans and strategies—more subjective and static representations of a reality that was constantly in flux. 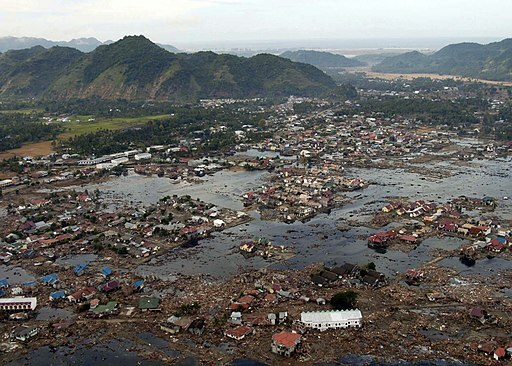 Aceh, Indonesia in ruin after the 2004 Tsunami (US Navy Photo). It’s certainly understandable to react to extreme uncertainty with “more planning.” When existing structures and systems have been severely disrupted and upended, we want to set about repairing them. But planning can cause more harm than good is when it becomes inflexible or when planners believe in their own omniscience. “Best practices” can drown out the perspectives and preferences of those for whom the solution is nominally meant to serve. The experts espousing so-called best practices tend to assume that contextual, historical, and cultural understanding are unimportant. For them, it doesn’t as much matter how things functioned before a disruptive event, because if human-centered design techniques are properly employed then the new reality that results will be as good as, or even far superior to, the previous one. They aspire to plan for tomorrow without understanding yesterday. Of course, this kind of criticism is easy to levy, especially with the benefit of hindsight. It’s far simpler to sit here and expound on all of the ways not to design solutions for such complex contexts as dense urban environments and post-disaster zones than it is actually to do something in the face of these challenges. But there are excellent counterexamples to these planning failures, and they combine ethnography and systems thinking. Chia & Holt implore us to look beyond the formulae, graphs, and tickers that come to mind when we think of financial markets and the entities that influence them, and instead recognize such markets as “socially organized, complex, and open-ended institutional facts.” Omniscience about the actions of these markets is not possible, and a clearer understanding of them does not come about through scrutinizing the “rational” things that govern them, such as fuel prices, rainfall, and laws of supply and demand. Rather, they say a different sort of understanding can be gained through “attaining and sustaining a set of organized relationships nested within wider systems”. I argue that ethnography must be used as one of the “legs of the stool” of this understanding, rather than applied like a coat of attractive varnish at the end of a plan or project. It is a key to understanding a context before acting within it and provides additional benefit further upstream. Some practitioners of human-centered design (HCD) have made this critical leap from an ancillary role for ethnography to a foundational one, but although HCD as a design trend has popularized, ethnography has not always come along for the ride. Why not? 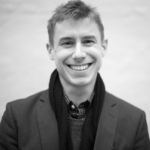 Sometimes the problem is seeing qualitative and quantitative methods as mutually exclusive. In fact, the two can (and should) be used in tandem. Quantitative methods and a focus on sensors and ubiquitously embedded technology to convey a sense-able “snapshot” of a context need not being seen as oppositional to qualitative methods, but can be part of a mixed-methods approach based on ethnographic principles. The solutions that embrace both ways of seeing the world are far more likely to succeed—whether the outcome of that success is a pleasantly designed neighborhood, a community rebuilt following a natural disaster, or a usable application. Both approaches must be used throughout the lifespan of a project, with practitioners of different approaches collaborating and communicating with one another. age, ethnicity, the purpose of [riders’] trip, and their comfort riding. The application, map, and the underlying data partnered with the City of Atlanta to help city planners make decisions around transportation infrastructure. As such, the application provides a way for cyclists to participate and advocate for infrastructure by showing where they ride. In looking at the data generated from this, he notes a large gap in data around Atlanta’s historic Westside district, a densely populated area known to be home to many cyclists. Why? Because, he argues, to be included, cyclists must have both a smart phone (a pricey device) and “feel that through the inscribed mode of participation (e.g. data logging) their contribution matters.” While the collected data shown on the map was both legible and accurate, the pernicious gaps in the data’s racial and geographic diversity demonstrate that “participation in public things is not flat”. 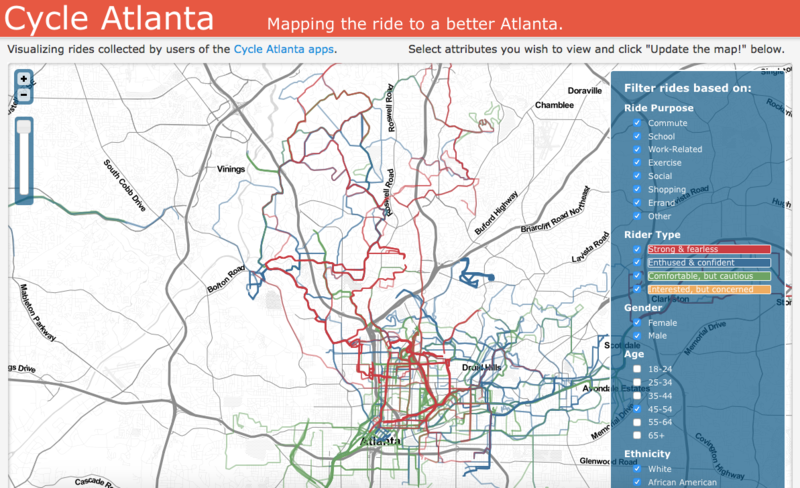 the CycleAtlanta map demonstrates that the public does not mean everyone and anyone. Moreover, the map shows that introducing technological means to increase participation does not necessarily mitigate the underlying barriers to participation (and may instead reinscribe them). Had Lodato not tempered his colleagues’ sensor-derived quantitative data with his qualitative local knowledge of actual conditions in the (inaccurately mapped/sensed) context, the data collected from his colleagues’ app might have gone on to misinform those in charge of planning new bicycling infrastructure for Atlanta. In our constant search for data to make better decisions, we’re often subconsciously looking for that which confirms our previously held biases and opinions about how the world is (or “should be”). The lines between how the world “could be” and how it “should be” become easily blurred, particularly in the minds of those responsible for designing and planning complex systems and services that impact a large group of beneficiaries, customer, or citizens. Today we’ve come to rely on data with the assumption that “certainty” leads to “correctness”. Today, we would say that Corbusier’s plans for cities failed because it was based upon his own personal opinions about how a city should look and feel rather than upon context. Yet when people’s same opinions proceed directly to relying upon context-agnostic “best practices” and out-of-context statistics to form strategy and plans—rather than familiarity with harder-to-quantify contextual knowledge and reality on the ground—things can go awry just as easily. I do not doubt that those helping design more cyclist-friendly infrastructure for Atlanta or aiding the residents of Aceh, Indonesia, as they recover from a tsunami had anything but the best of intentions. Relying on something other than their own opinions for what would be “best” for the context was wise, but relying solely upon data generated by tools unaffordable to some residents (in Atlanta) or upon “best practices” that formulated for other contexts (in Indonesia) isn’t the answer, either. To assemble a more accurate picture of the reality they hope to change (and, ideally, improve), these ways of seeing would benefit from an infusion of ethnography to grant a clearer picture of reality on the ground. There is no “best” approach for the increasingly complex problems we face today, only “better” and “worse.” The solution that relies only upon quantitatively rigorous methods and technology, while perhaps attractive to planners and leaders for its apparent “certainty” and less “messy” picture of reality, is not the approach that will create the best outcome for those who will have to live with and interact with the service, product, or urban area on a daily basis. Neither, of course, is the exclusively qualitative approach the ideal path—particularly when human behavior visible to the trained observer is increasingly influenced and guided by the digital signs and signals that course through our networked devices in the post-industrial world today. Through use of diverse types of data and methods, the “pathological positivism” of overly rigid planning may be offset by a broader base of evidence upon which to build. A plan informed by a combination of qualitative observations and quantitative measurements is, through means of its multiple “ways of seeing”, ultimately more easily recognized as describing a dynamic and ever-changing reality. With this, we get closer to what Chia and Holt describe as effective strategies, which have more to do with those who use the strategy than the strategy itself: they are informed broadly, and “held lightly” as the products of bounded rationality.